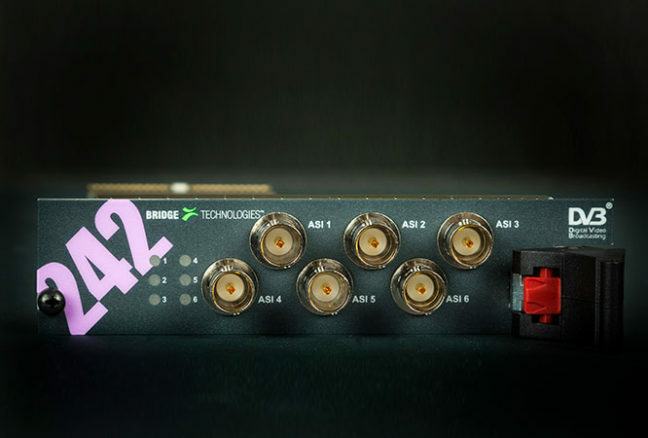 HARDWARE PROBE The VB120 broadcast probe offers a cost-effective and powerful monitoring solution, covering the most commonly available signal formats. In particular, the VB120 is capable of monitoring IP unicasts and multicasts, OTT/ABR streams as well as a whole range of RF formats. The VB120 probe hardware is custom designed and built to telco-grade standards for maximum reliability and minimum maintenance. Each VB120 blade consumes less than 12W of power. This substantially reduces power consumption and air conditioning needs in installations. The VB120 can be paired with a full set of interface blades to cover signal formats such as DVB-T/T2, DVB-S/S2, DVB-C/C2, QAM-B, 8VSB, ISDB-T and ASI. The ability to continuously measure all your media services makes the VB120 invaluable for confidence monitoring, thus facilitating a more rapid network expansion. In addition, the VB120 can perform deep analysis of the broadcast signal, reducing the need to travel to remote locations when changes in the system are made or to find the reason behind alarms. The VB120 features a fully-fledged ETSI TR 101 290 monitoring engine used to monitor enabled inputs, one monitoring engine per input working in parallel. The basic VB120 monitors DVB, ASI and IP monitoring enabled through the IP Monitoring and Analysis option. 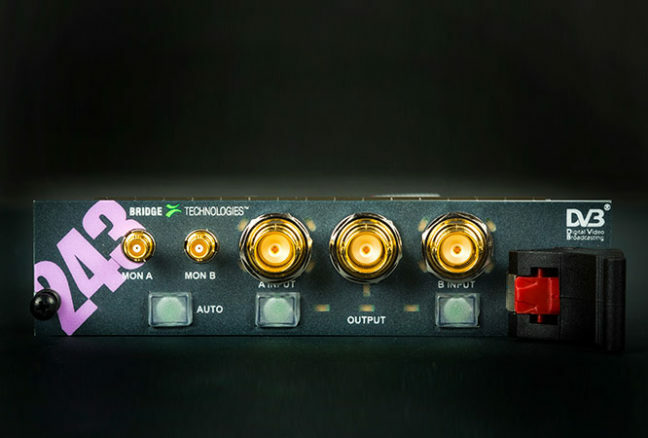 Additional RF inputs may be included by adding demodulator blades to the system. Each Bridge Technologies ETSI TR 101 290 engine performs Priority 1, 2 and 3 measurements in addition to monitoring vital CA parameters, CA monitoring being of vital importance as CAS errors may lead to equally severe impairments as ETSI TR 101 290 Priority 1 errors. The monitoring engine may also be configured to check signal scrambling. PSI/SI and PSIP tables are analysed and presented as table summary and hex dump, the latter enabling analysis of proprietary descriptors. Bit rates are measured at TS, service and PID level, and the ETSI TR 101 290 engine also monitors RF parameters for optional demodulator inputs. Fully configurable round-robin functionality enables sequential monitoring of several transport streams per monitoring engine. More details can be found in the ETR290 pages. It is possible to monitor OTT/ABR streams at master play-out or at the CDN origin server in all common streaming formats using the OTT option. Streaming formats supported currently include Microsoft Smoothstream™, Apple HLS™, Adobe HDS™, MPEG-DASH and basic RTMP. 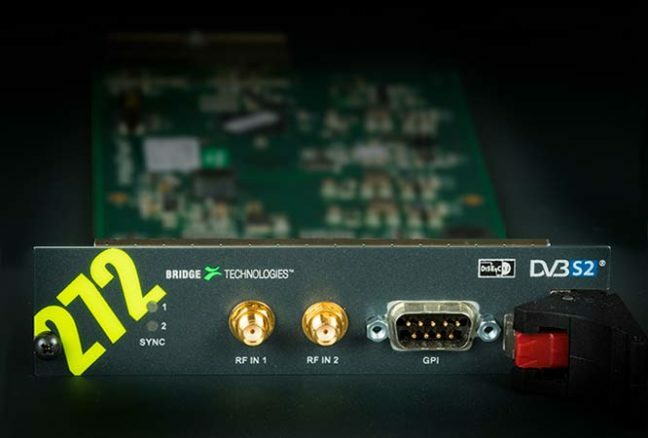 The innovative RDP technology (Return Data Path) that comes as standard on the VB120 enables easy re-routing of remote signals from regional locations into a central location for decryption and advanced signal analysis. RDP reduces the need for truck rolls and the on-site visits that would otherwise be necessary by skilled and expensive engineers. The VB120 recording functionality allows alarm triggered or manually initiated recordings from any enabled input. The VB120 has been designed to support all modern encapsulation standards including ISO/IEC13818-1 Transport Streams and MFRTP. The VB120 continuously measures signal loss, packet loss and packet jitter. These vital parameters are presented through Bridge Technologies’ own patented MediaWindow™ technology. MediaWindow™ allows for current and historical data to be displayed in an intuitive and visual way for easy understanding of the media flows in an IP network. Management and control for the basic VB120 is available through a separate 10/100/1000-T Ethernet interface; the IP-enabled VB120 may alternatively be managed in-band through the 10/100/1000-T video interface or through the SFP video interface. Standalone access is achieved through the use of any standard modern web browser, avoiding the need for a dedicated client application. With SNMP trapping and the comprehensive Eii™ (External Integration Interface) XML export the VB120 Broadcast Probe is easily integrated into existing NMS systems either directly or through the optional VBC Controller Server (VBC). 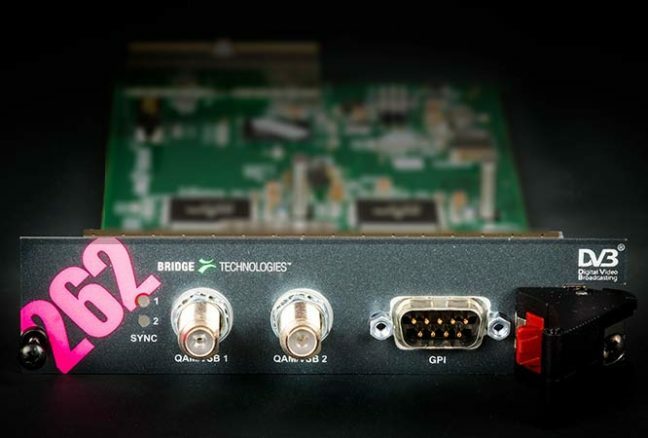 The IP Monitoring and Analysis Option activates optical and electrical Gigabit Ethernet interfaces for connection to the video segment.The VB120 has been designed to support all modern encapsulation standards including ISO/IEC13818-1 Transport Streams and MFRTP. 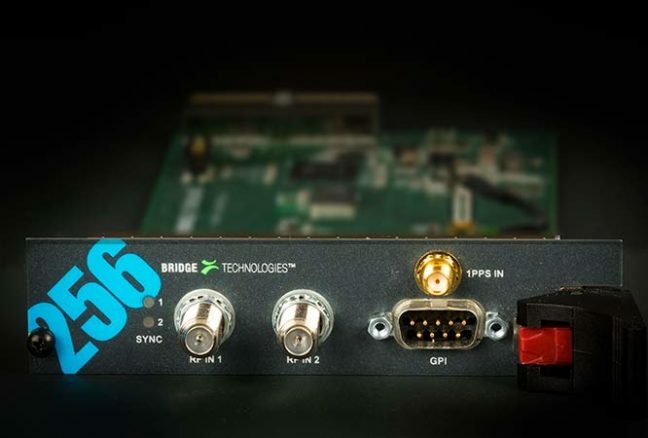 The VB120 continuously measures signal loss, packet loss and packet jitter for up to 10 IP multicasts, these vital parameters being presented through Bridgetech’s own patented MediaWindow™. MediaWindow™ allows for current and historical data to be displayed in an intuitive and visual way for easy understanding of the media flows in an IP network. 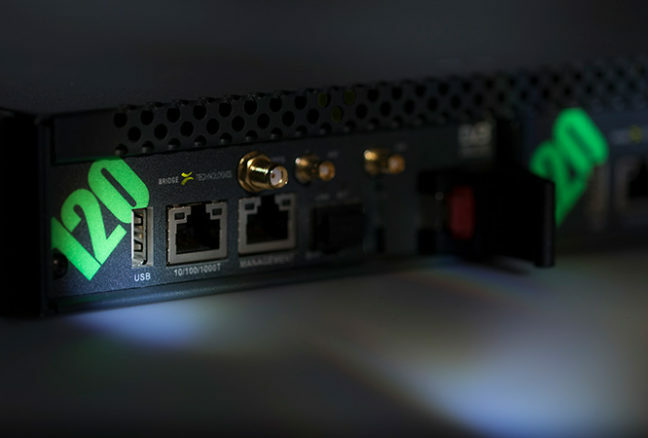 Advanced Ethernet option enables continuous monitoring of streams, whether they be VoD streams or any continuous stream that can be classified by the built-in advanced filters. Complete MicroBursting detection and monitoring capability together with PCAP recording are also included in this option. This option increases the number of IP streams continuously monitored in from the built-in 10 IP streams up to 50 IP streams in 10 stream increments.The ability to increase the number of streams in the VB120 gives great investment protection should the need arise for more services to be monitored. Up to 50 streams can be purchased in increments of 10 streams. The streams increase can either be purchased and factory preinstalled or the unit can be upgraded via a simple software upgrade remotely in the field. The T2MI-OPT applies only to the management board (VB120 & VB220). The T2MI option is used to enable analysis of inner streams in DVB-T2 distribution systems utilising T2MI functionality. Stream verification is based on the renowned Bridge Technologies ETSI TS 101 290 analysis engine, and the T2MI enabled probe allows a thorough check of outer and inner streams. The T2MI option makes it possible to design and implement an end-to-end monitoring system for DVB-T2 distribution. 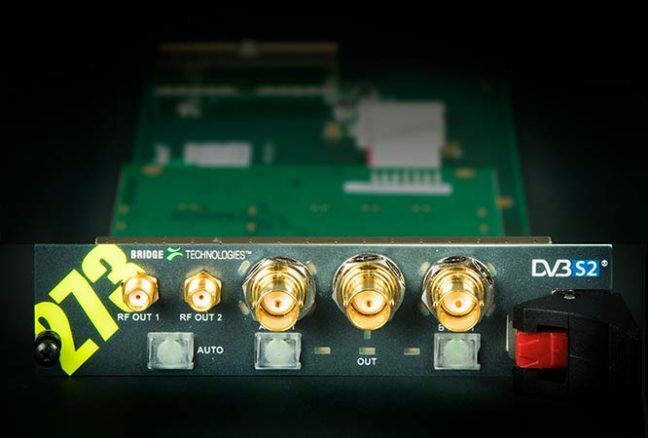 The T2MI option extends ETSI TS 101 290 analysis functionality of a Bridge Technologies probe to include inner streams in DVB-T2 distribution systems where T2MI functionality is used. The T2MI stream-in-stream concept opens for simplified local insertion and is increasingly being used in DVB-T2 distribution. Monitoring of signal integrity is essential, and the T2MI probe option makes it possible to check inner stream parameters, like T2 timestamps and L1 information. Measurements are performed real-time in accordance with DVB document A14-1. The ETSI TR 101 290 functionality is included as standard on the VB120. ETR290 also available as an option on the VB20 and VB220. Full analysis is performed on Ethernet, ASI, COFDM, QAM, DVB-S/S2 QPSK and signals according to the industry standard ETSI TR 101 290. Multiple analysis engines are available as an option for Ethernet, allowing real-time ETSI TR 101 290 analysis for Ethernet transport streams in parallel. The Bridge Technologies implementation provides operators with unparalleled input signal visibility. The probes can detect and trigger alarms for many of the common errors that would normally go unnoticed by conventional monitoring systems. The ETSI TR 101 290 functionality is included as standard on the VB120. ETR290 also available as an option on the VB220 and VB330. Full analysis is performed on Ethernet, ASI, COFDM, QAM, DVB-S/S2 QPSK and signals according to the industry standard ETSI TR 101 290. 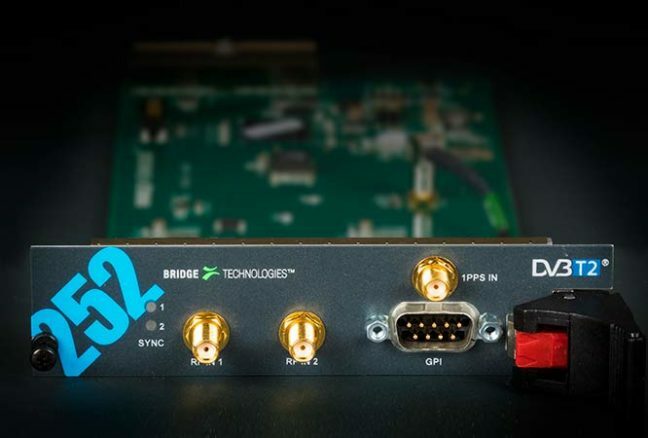 Multiple analysis engines are available as an option for Ethernet, allowing real-time ETSI TR 101 290 analysis for Ethernet transport streams in parallel. The use of OTT technologies like variable bit rate HLS, SmoothStream and HDS for distribution of media to all kinds of receiving platforms is rapidly expanding, portable devices used in multiscreen applications being particularly important for OTT deployment to be a preferred method for media signal delivery. Content distribution using OTT is complex, and it is necessary for a service provider to perform continuous surveillance of signal availability and integrity of both LIVE multi-profile streams and VOD content. The OTT Option provides the same paradigms as more traditional media transports enabling easy understanding of complex media transportation where operators have both traditional and new distribution systems. 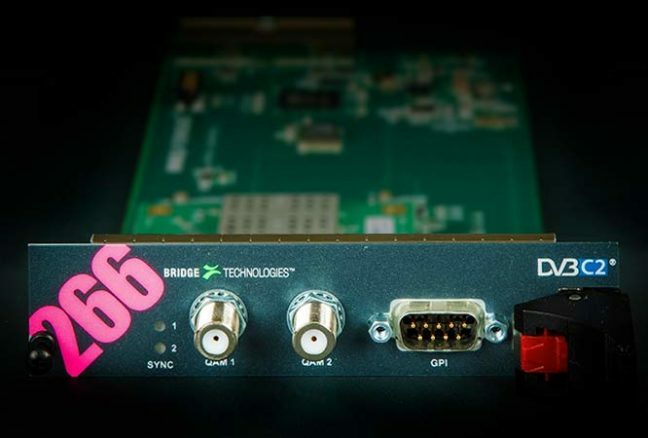 The OTT options, available for all Bridge Technologies probes, enables monitoring and analysis of HLS, SmoothStream, HDS and MPEG-DASH streams. The OTT engine will check that stream and profile manifest files, the «lists of contents», are syntactically correct and updated, that all stream profiles are available and that stream chunks are delivered on time. The extractor option is for Content extraction that includes; freeze/black/colour frame alarming, audio loss alarming for one service only typically where RF interface cards is used for round-robin checking of multiple frequencies. The Objective QoE Extraction option on the probe offers picture analysis functionality in the form of freeze-frame detection and color-freeze detection. Configured as part of the ETSI TR 101 290 engine and appears as content check underneath other checks. It also allows picture freeze-frame alarms to be detected by probe on all IP and ASI/RF interfaces monitored. Typical performance will vary depending on probe load but 5 minutes for detection delay for 3 multiplex carrying 4 HD H.264 services each is typical. SCTE35 is a specification which allows equipment to splice in local content at specific times. SCTE35 is the signalling mechanism the equipment uses to know when to switch from the master transmission to insert local content and when to switch back. SCTE35 is used for two different reasons: In USA it is used to insert local advertising. It’s quite common that local Cable TV companies redistribute satellite channels in their network. They can purchase the right to replace some of the country-wide advertising with local ads. In Europe it is used to insert local TV programs, e.g. local news transmissions. SCTE35 analysis requires a special license for the probes and is connected to the ETR290 engine. All streams where ETR290 monitoring are performed simultaneously can be SCTE35 monitored in parallel, i.e. this is a reason for buying VB330 if many SCTE35 streams are to be monitored in parallel. GUI: From the ETR 290 main tab a list of streams containing SCTE35 signalling are displayed under the SCTE 35 tab. The Flash32 feature is used as an added 32GB SD card, to be able to save RDP and PCAP recordings. RDP recordings are automatically moved to the SD card when completed, and PCAP recordings can be manually moved using the interface GUI as shown below. When in the storage tab, file system statistics are shown to the right and files can be downloaded by clicking its name.